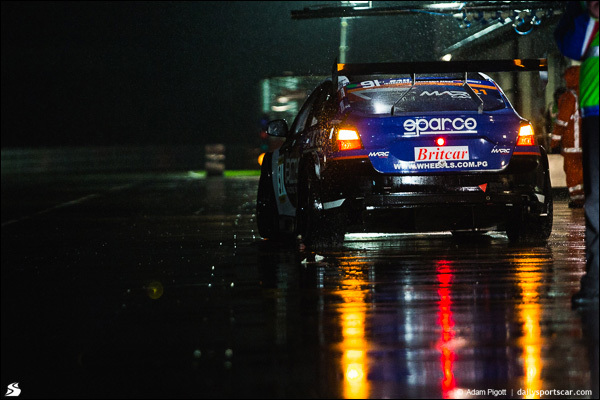 Since last year, an interesting new car has been appearing on the entry lists of some European endurance races – the MARC Cars Australia Ford Focus V8. 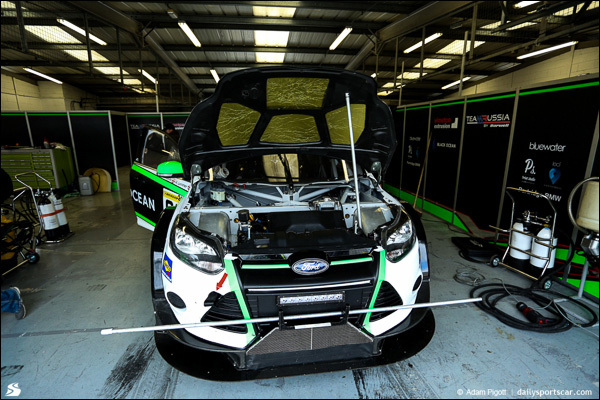 But names can be deceiving: although wearing Focus body panels, this is in fact a purpose-built racing car, designed with affordable endurance racing in mind. Two MARC Focuses took part in the weekend’s Britcar Dunlop 24 Hours at Silverstone, run in conjunction with British team Barwell Motorsport. Before the race, MARC Cars boss Ryan McLeod gave us a walkaround of the car, which features a number of well thought-out touches that are intended to make it a robust, affordable and effective way to go 24-hour racing for less than half the purchase price of a GT3 car. McLeod’s main business is Racing Industries, which he describes as ‘the Australian version of Demon Tweeks’. As such, he has pre-exsiting relationships with many big motorsport component suppliers, allowing him to source a range of off-the-shelf parts for the MARC. 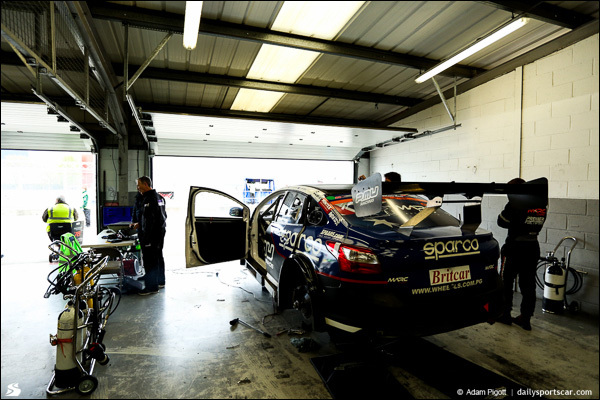 Much of the car has been designed to make repairs quick and easy during an endurance race and minimise the amount of spares needed to be kept on hand. The suspension, for example, has ambidextrous control arms, with the same uprights, bearings and spindles for all four wheels. 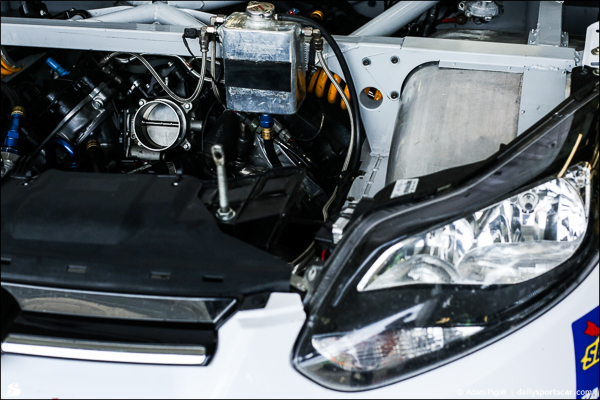 The front clip, including the radiator, can be removed by undoing four bolts, allowing for fast replacement in the event of a shunt. 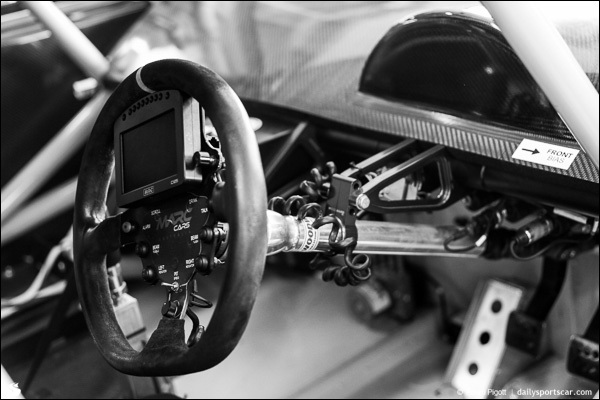 The dampers are mounted well inboard, minimising the chance that they’ll be damaged in a typical racing impact. 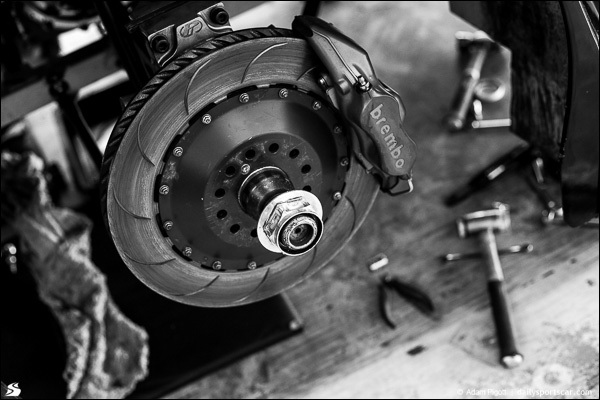 Braking is taken care of by a Brembo ABS system with Japanese P.MU brake pads that should be able to go for a full 24-hour race without needing changing. 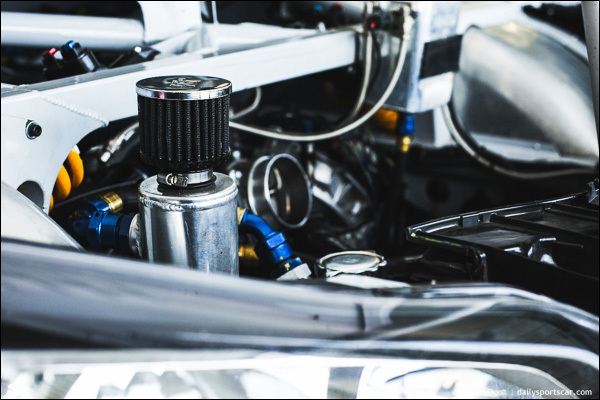 Many components have been ‘oversized’ to make them more durable, and the engine and drivetrain are intended to go 10,000km between overhauls, while the transaxle should go for 8,000km. Kerbweight is 1,230kg and total power from the V8 is in the region of 530bhp. One of the key selling points of the MARC is that it can be fitted with custom saloon-car bodywork. The majority of examples produced sold so far sport Ford Focus body panels, but there are also Mazda3 versions (seen at Bathurst this year) and there’s a BMW-bodied car in the works. Aero elements, including the front splitter, wheelarches and rear wing, are standard whatever body is used. The MARC is currently eligible to run in Britcar, Creventic 24H Series events, Dutch Supercar Challenge, Australian GT, the Australian Sports Sedan Series and the Bathurst 12 Hours.